Selling a business is similar to selling a home in many ways, but there is one major difference between the two and that is time. It can take up to a year (sometimes more) to arrange the sale of a business, due to the level of preparation required, negotiations (which can far exceed the average time it takes to sell a home), time spent on the market (depending on the nature of the business) and settlement time. This is a guide to help see you through the main timeline of selling a business. Preparing your business for sale is not only one of the earliest things you should do but an ongoing practice as part of running a successful business. Even before you own a business, it is in your best interests to plan its lifespan out, if you see a time when you might want to sell the business or attract investors. Planning your business lifecycle allows you to identify key milestones and goals in your business, giving you a way to measure the success of the business temporally. Closer to when you want to sell your business, it is important to ‘clean’ your business, making sure that your financial history and practices are as transparent as possible. This ensures potential buyers are not left asking obvious questions about your business practices, and leaves no doubt as to your credibility as a vendor. If they have to ask questions about how your business runs well into their interaction with you as a vendor, then you have not supplied them with the right information. Valuing your business involves not only looking at the physical assets in the building (if you have a building), but looking at your goodwill, potential value in the future (based on your place in the industry), planned innovations in your business and your budget (incomings vs outgoings) in general. It is a good idea to engage a business advisor and financial adviser to work with your accountant during this process, so that you can build an accurate value of your company and back it with an accessible and inviting business case that you can show potential buyers. The reason to consider selling your property at least 12 months prior to when you would ideally like to step away is that this gives you time to explore opportunities to sell your business without having to advertise it. This could include selling your business to existing employees, which has a range of benefits (you may be able to stay engaged with the business, you save on costs, your business does not suffer from spiked attrition rates that are often associated with a business handover), or finding a buyer through networking. Just as it is possible to plan the lifecycle of your business before you have even started it, you can build an extensive list of connections throughout the life of your business who may one day be potential buyers for your business, and ones with whom you have a strong existing relationship (enhancing the negotiation process). 6-12 months before you want to have sold, you need to engage a business broker to talk about the state of the market and what they can do for you (they may have existing connections that would be potential buyers, saving you on advertising costs). A business broker has extensive experience in not just the marketing of a business but in the handover process as well, and can work with you during the negotiation process as a mediating presence. Unlike any other kind of purchase agreement, the sale of a business can take weeks if not months to negotiate. This is because there is a wide range of considerations when negotiating the sale of the business, such as the value of staff and the liability of the purchaser versus the seller for their staff, assets, the negotiation of perceived goodwill, non-compete clauses, stock options etc. 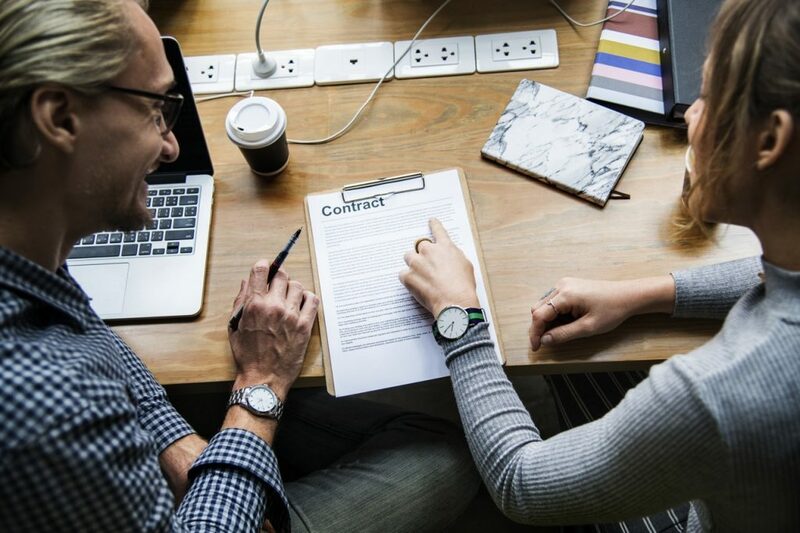 As part of the negotiation process, your solicitor and other key advisers you may have (such as a business mentor or peer) will help to draw up a contract that satisfies both parties. These can take months due to the back-and-forth that can often arise over the above considerations. It is up to you how long this process should take, if it takes place at all. Spending at least two weeks or more to communicate the practices underpinning the past success of your business is in your best interest as the vendor in a number of ways, but none more so than when you are keeping a connection to the business in some form (such as remaining as an investor or advisor).